GODSPEED – The Race Across America release date was Tuesday, May 22, 2018. This was a 1 Day Only release. 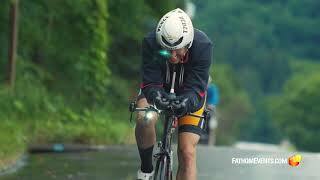 This inspiring documentary of faith and determination chronicles the harrowing journey of ultra-cyclist/sportscaster Jerry Schemmel, who joins forces with an IronMan triathlete/CEO, Brad Cooper, in the world's most grueling endurance bicycle race. 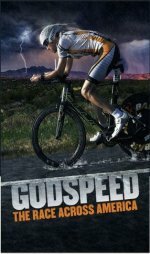 Presented by Fathom Events and The Rudy Project, “GODSPEED – The Race Across America,” an inspiring documentary of faith and determination, comes to U.S. cinemas for one special night on Tuesday, May 22, at 7:00 p.m. local time. Following the feature, attendees will view a pre-recorded audience Q&A with Cooper and Schemmel.